Gardening takes patience. This is indeed a fact. I have little to no patience. This too is a fact. The fact that these two facts contradict nearly led to complete disaster. 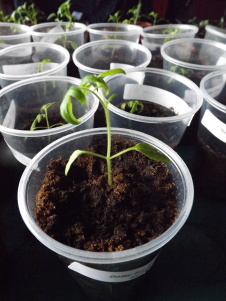 This year after I planted my seeds for tomatoes and peppers, I placed them in a greenhouse in the kitchen and put a small heater inside to boost their growth and keep them warm. 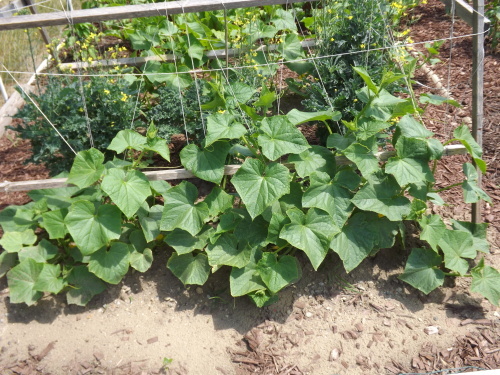 Now, I know that there are three things seedlings need to grow: Food, warmth, and light. With gardening it’s really all or nothing — the best two out of three just doesn’t cut it. 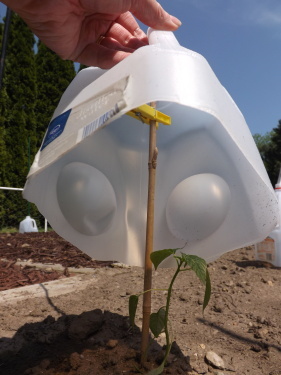 The food was no problem as I watered them as soon as I planted and then every couple of days or as needed after that. The warmth was no problem because the space heater had a thermostat on it that would turn off automatically once the greenhouse hit between 75 and 80 degrees. Light, well this wasn’t so easy. Sure I kept the blinds open on the window that the greenhouse was in front of, but there was not nearly enough light for a long enough period of time during the day to really be of any help. I looked into buying some grow-lights but they were more money than I wanted to spend, so I held my breath, crossed my fingers, and waited. 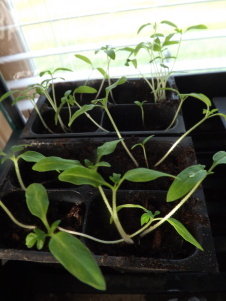 It didn’t take long for the seedlings to sprout and within just a few days they were tall and leggy, not what you really want when growing tomatoes or peppers. 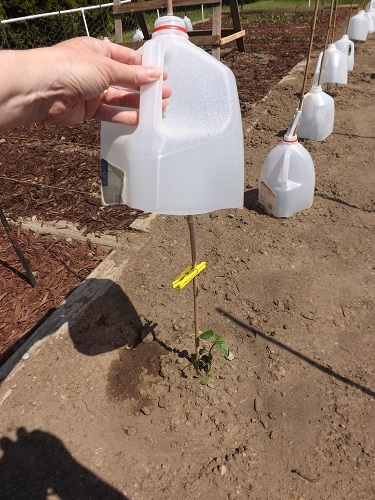 Anxious to remedy the legginess of my tomatoes, I began transplanting some of the seedlings almost immediately into larger containers, burying the long, thin stalk almost to the leaves. I did this before they even had their second leaves. Big mistake! 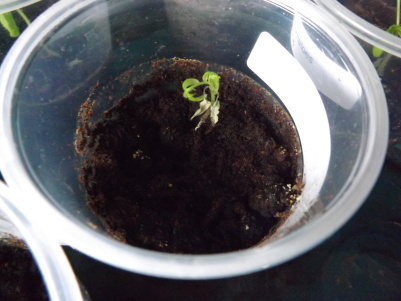 After a week about half of my transplants died and within two weeks all but one was gone. Patience where fore art thou? Not my most stellar moment as a gardener. 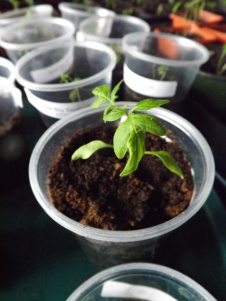 Thankfully I only rushed into transplanting the Beefsteak tomatoes and half the Mariglobe. I left the remaining Mariglobe and Better Boy for another week or so, not because I wanted to, but rather because I didn’t have time. When I finally got to them, they had their second leaves. So far only about 25% of those have died. 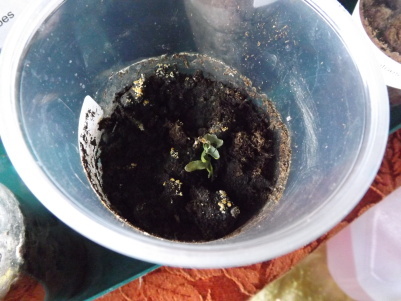 Most of the ones still living have gained their third set of leaves and are growing happily on the dining room table. I replanted some Beefsteak and have them in the greenhouse. 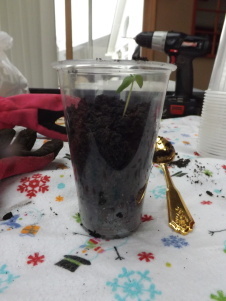 Once they sprouted I turned off the heater and now they are sitting in there until their third leaves come out and they are ready to be transplanted. I don’t want to take a chance on losing them again. At this point I really can’t afford to lose any more plants or I won’t have enough to fill the garden and pots I have planned for them which could mean there won’t be enough tomatoes to can everything on my Tomato Canning To Do List. The good thing about having basically two different crops of tomatoes though is I hopefully won’t be bombarded with tons of tomatoes that will all need to be canned at the same time. Spacing out my crops might just work to my advantage — gotta find something positive out of this whole experience. Work with me on this! As for the peppers, well I was much more patient with them. Again, patience was not necessarily the reason — time played a major factor as well. 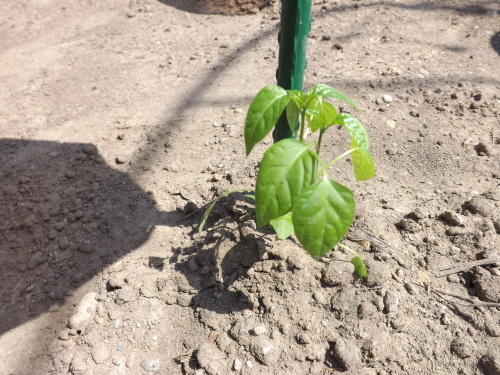 I transplanted only the jalapeno before they had their third leaves. 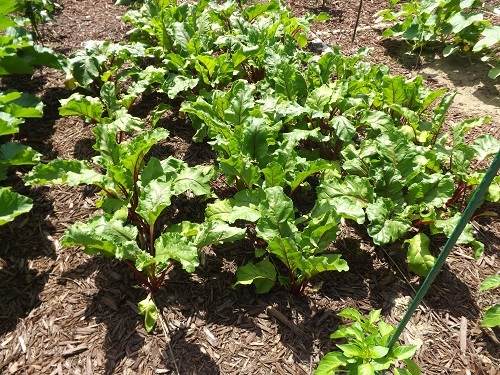 Although they went into shock after being transplanted, they have recovered nicely and now have begun to grow again and new leaves are spouting. 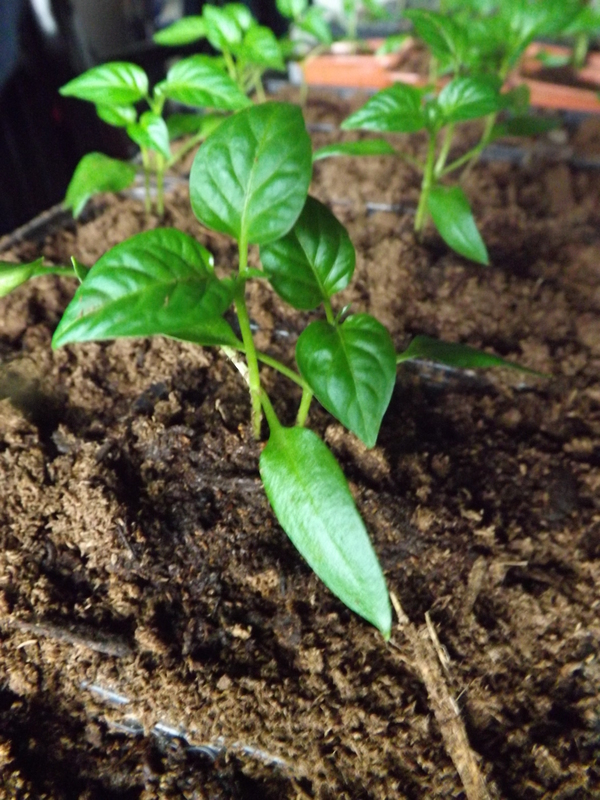 All the other peppers were transplanted after they had their third leaves and they are quite healthy and getting nice and bushy. Looks like I’ll probably have more pepper plants than I’ll need, which is a good thing seeing as I still have to harden them off before transplanting into the garden and that gives me more than ample opportunity to kill them. A hard lesson to learn, but at least I haven’t killed everything and I had time enough to replant what I did, and for this I am — Simply Grateful. 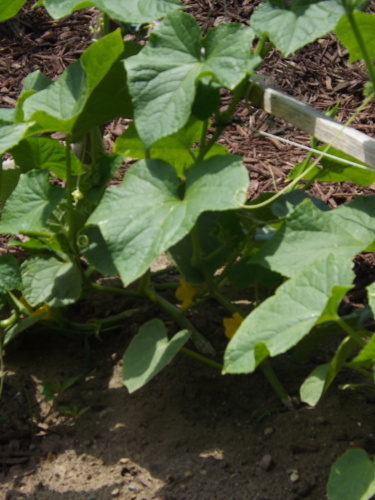 Categories: Peppers, Tomatoes | Tags: Gardening, Patience, Peppers, Seedlings, Tomatoes, Transplanting | Permalink. 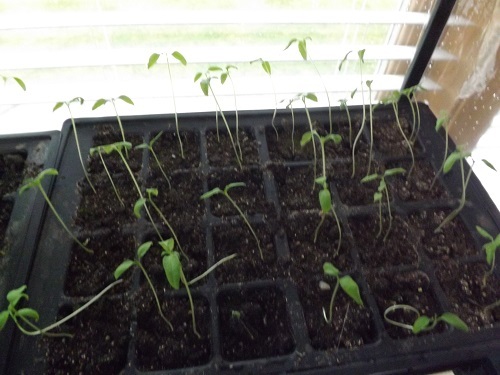 Last year I started the pepper and tomato plants I needed for the 2015 gardens from seeds at the beginning of March. 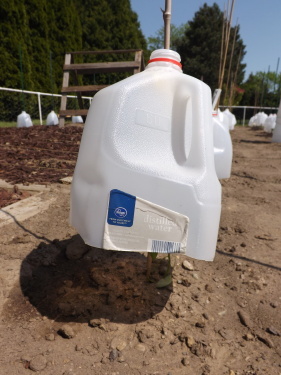 By May all the plants were big enough to harden off and begin planting in the gardens. 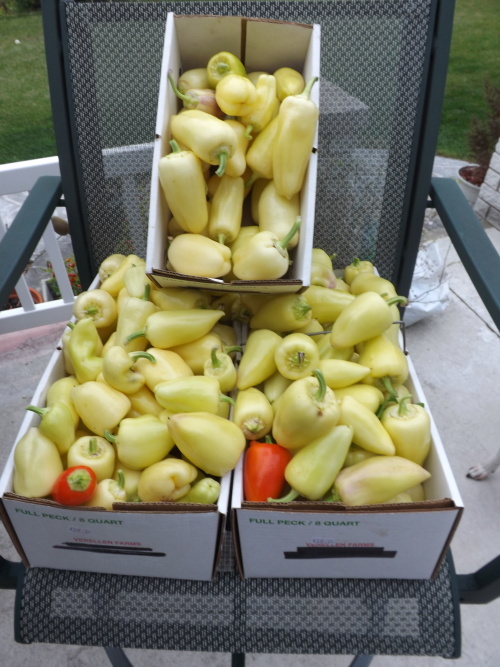 At the end of the season I had picked more than 1,000 peppers and enough tomatoes to can everything I wanted and freeze some for winter canning projects. 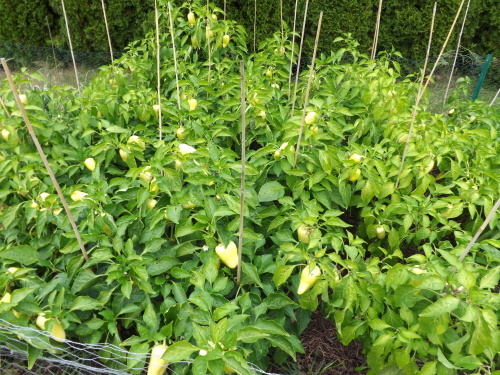 This year I am hopeful that we will have another banner year even though there are going to be some changes in the types of peppers I plant this year. 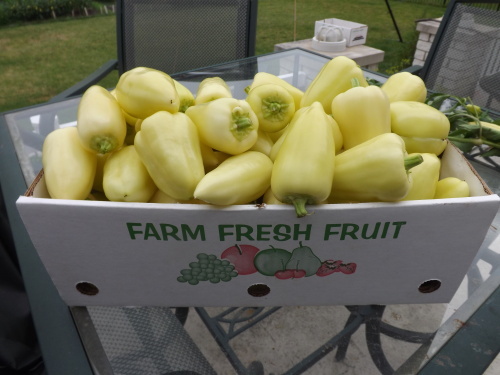 I harvested and canned so many Romanian, szegedi, and white cloud sweet peppers last year, that this year I do not plan on planting more than a few Romanian sweet peppers for eating raw. 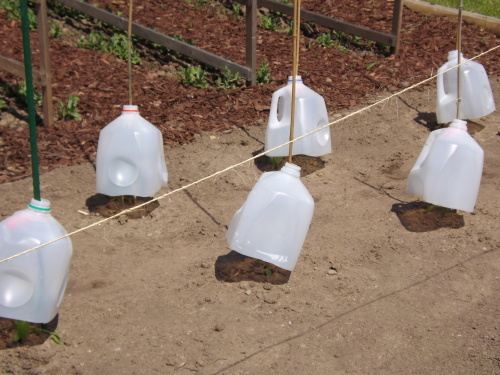 This year I plan on planting Anaheim, poblano, jalapeno, yellow banana (hot and sweet), and yellow bell peppers. My hope is to harvest enough of each of these to can/freeze for the next two years. This way I can concentrate on Romanian and szegedi peppers in 2017. 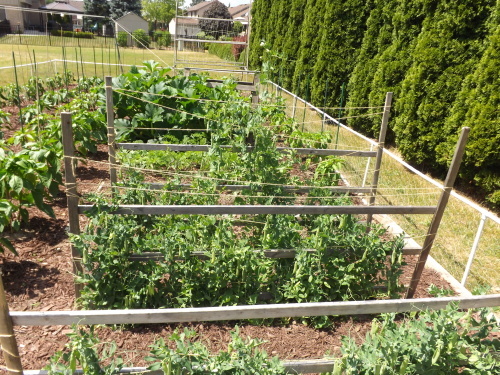 As for the tomatoes, well my plan is to expand this section of the garden. Although I harvested enough for what I wanted to can last year, I have since come up with additional projects I need fresh tomatoes for and hope to be able to fulfill my tomato needs by doubling the amount of plants. Last year I had just 15 canning tomato plants, which yielded more than 250 tomatoes. 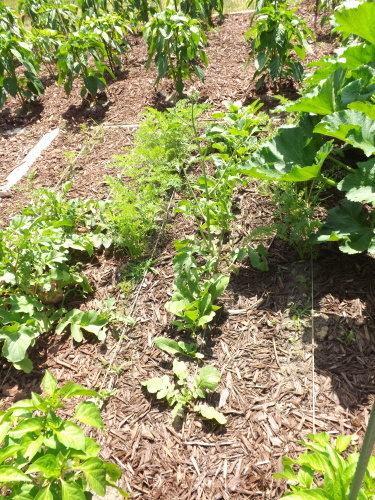 The area I have designated this year for will hold 28 canning tomato plants, 2 cherry tomato plants for eating and 2 regular eating tomato plants. To get things rolling, I spent the afternoon preparing soil for planting seeds, filling seed trays with soil, planting the seeds, watering, labeling, and covering all the flats of pepper and tomato seeds. And so it begins — spring planting 2016, and for this I am — Simply Grateful. 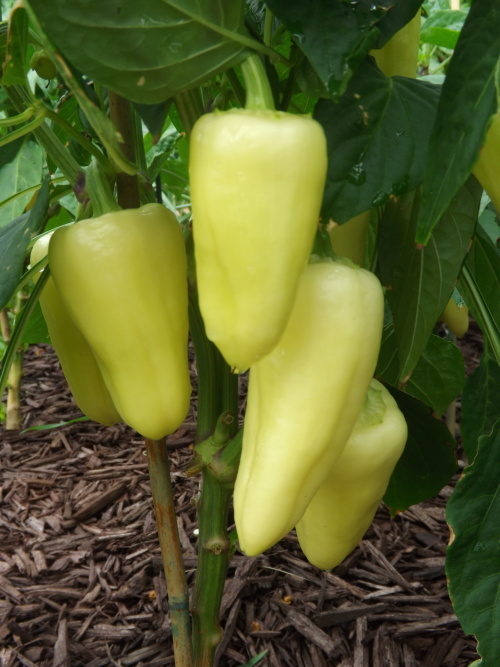 Categories: Peppers, Tomatoes | Tags: Gardening, Pepper Seeds, Seed Planting, Tomato Seeds | Permalink. At our house I am not allowed to trim the bushes. Hubby took one look at my bush trimming efforts many years ago and put his foot down. It’s not that I don’t do a good job — it’s that I do too good a job. Basically, I cut until you practically can’t cut no more. This isn’t such a problem with most bushes, but Hubby really wanted our bushes to flourish, so that was one less job I had to worry about. When it comes to the garden, however, that is my domain. Trimming, cutting, pruning, etc. are all me. Most of the time my efforts actually help my plants. My motto has always been that getting rid of the deadwood (anything that isn’t producing or aiding the plant in any way) is a good thing. Pepper and tomato plants are constantly being pruned and cut back. Last year this was a good thing. My plants grew huge and produced more peppers and tomatoes than I ever thought possible. This year, however, something happened. About three weeks ago I noticed some spotting and browning on the leaves of my tomato plants. 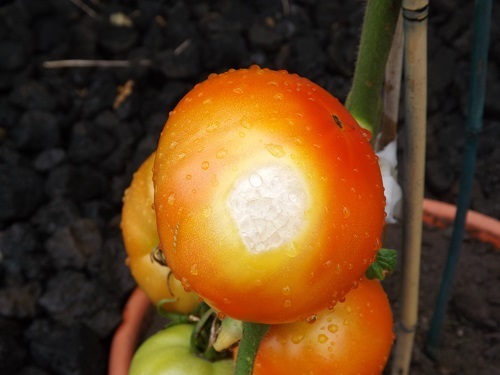 I researched this on the internet and learned that my tomatoes had early blight. To fix it I bought a copper spray and treated my plants. Seven days later I decided to trim away all the infected leaves and treat the plants again. 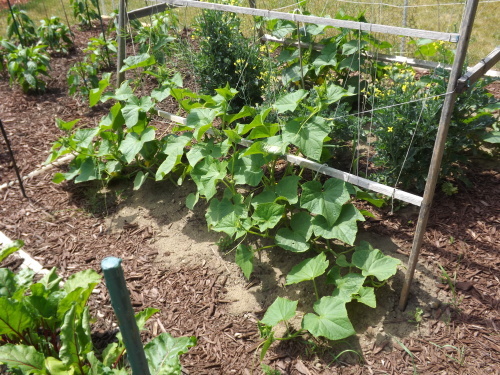 This took care of the blight but there was a consequence — Sunburn. 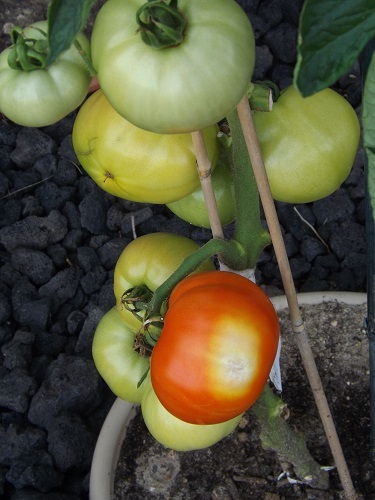 See that white spot on the red tomato? That’s sun scald. 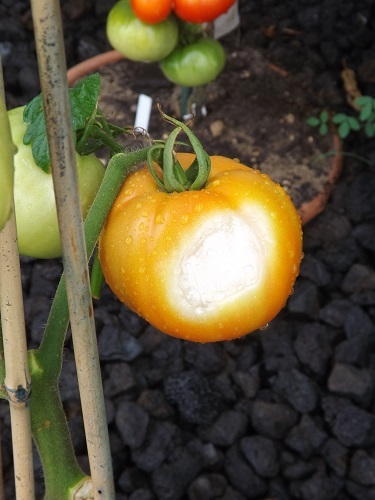 Okay, so it’s not actually sunburn, but because of all the pruning I did, which left many of my plants practically bald, several of my tomatoes are now suffering from sun scald. It isn’t a major set back, but it does give me reason to rethink my pruning techniques. 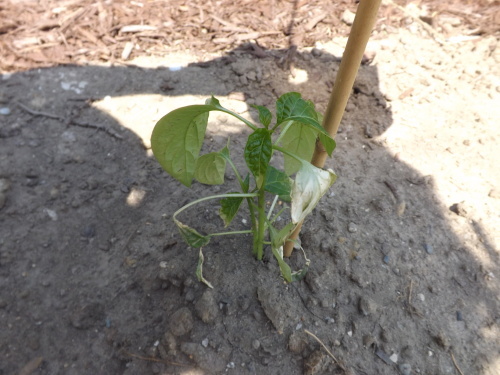 I never knew that tomatoes and peppers can suffer sun scald if too many of their lush leaves are trimmed. Knowing this is definitely going to limit the amount of pruning, cutting, and trimming I do. I look at these tomatoes as my “warning” from Mother Nature not to get too carried away, and for this I am — Simply Grateful. 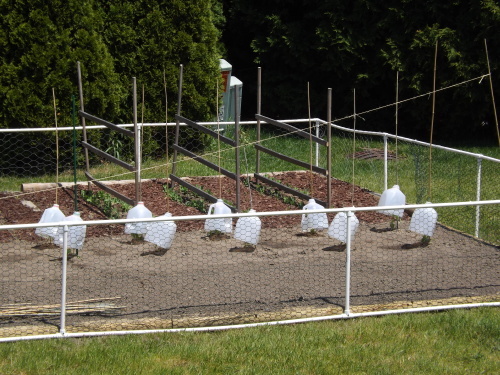 Categories: Peppers, Tomatoes | Tags: Peppers, Pruning, Sun Scald, Tomatoes | Permalink.